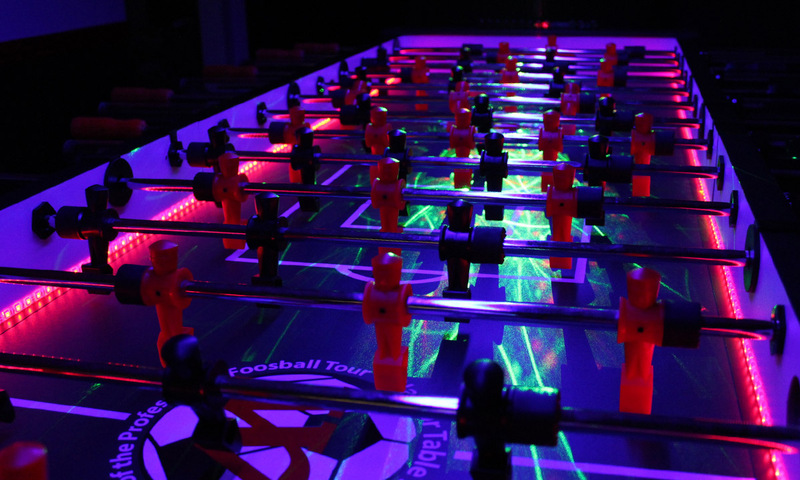 Warrior Table Soccer - Hot New Party Rental! RENT ONE NOW FOR YOUR NEXT EVENT! GUARANTEED LIFE OF THE PARTY! Fill out the form below and we will refer you to the dealer in your area. 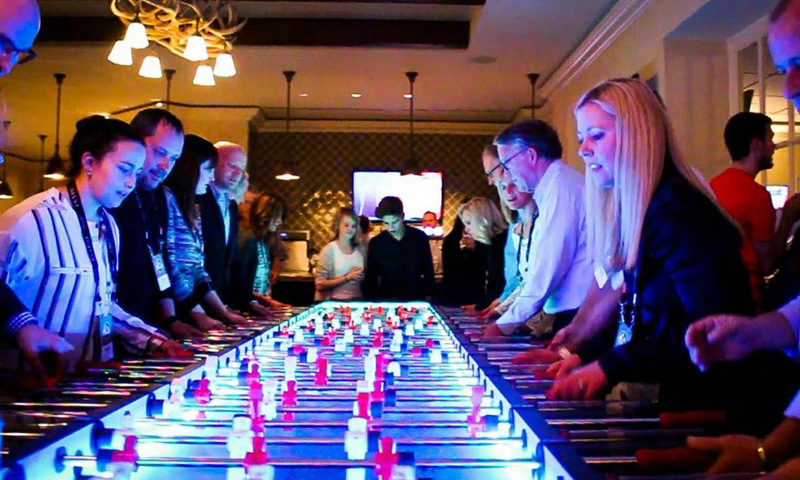 Find out which party rental company near you offers the Warrior foosball tables for rent by filling in the info to the right. Call 800-416-4560 for more information! Absolutely the best for the price! We placed this bad boy in our 800+ Employee call center game room. It has incredible control, super smooth rod action, and rod covers to protect people from getting jabbed. The guys at Warrior are awesome! They upgraded our Warrior table to include the stability upgrade -which has a much better ball return system AND they were able to place our company logo on the table itself! It is incredibly heavy duty built and feels like it will withstand years of abuse. It gets multiple hours of play daily and with the stability upgrade, doesn't shift or move at all! Awesome value for the price I paid. 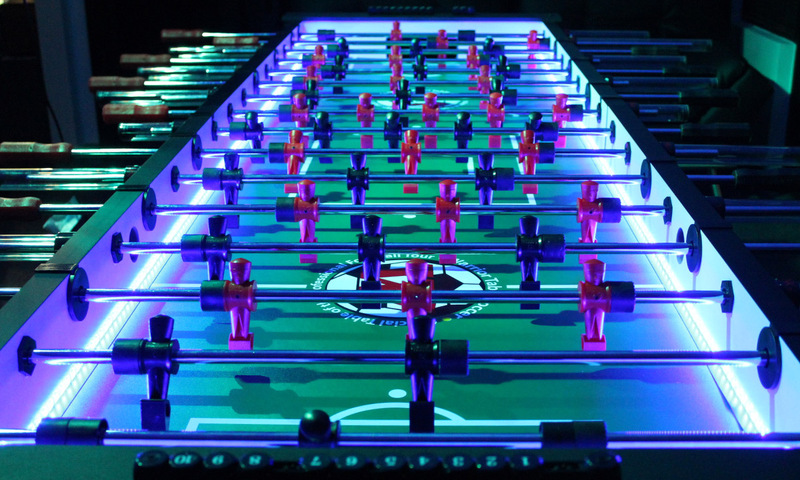 Very heavy and sturdy table, it feels like what you'd play in a bar. Mine actually came damaged. It was shipped in 3 separate boxes, and one of them sustained damage during shipment which happened to be the table top. I took a picture and sent it to Warrior and they promptly shipped a replacement ASAP. No hassle, just great customer service! Very happy with the table, and the rail guards, especially for kids safety, are excellent! 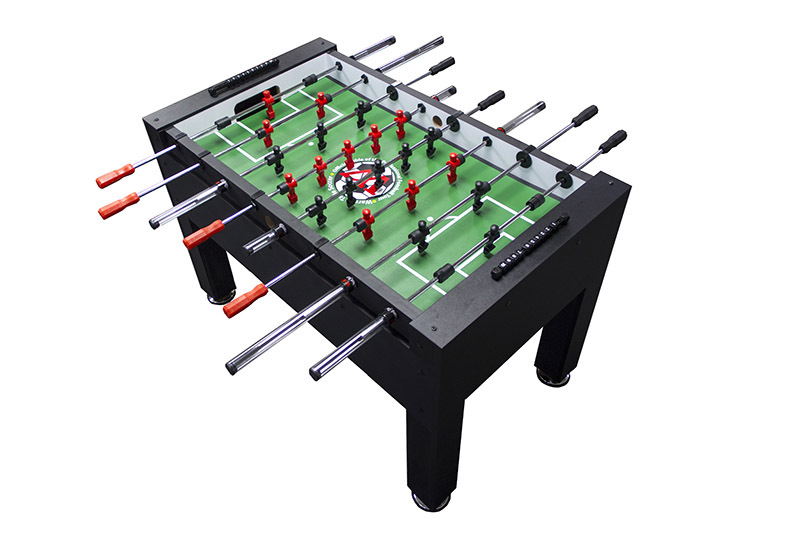 Don't hesitate, buy this table if you want a good at-home foosball table! 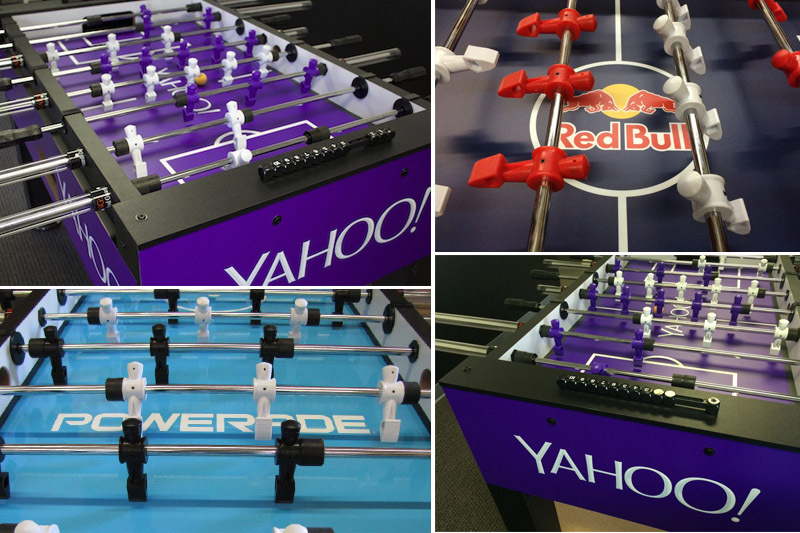 ORDER YOUR FOOSBALL TABLE TODAY!